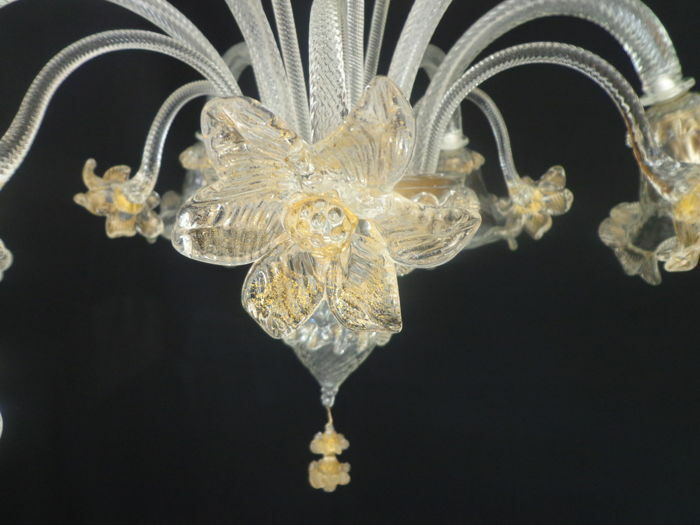 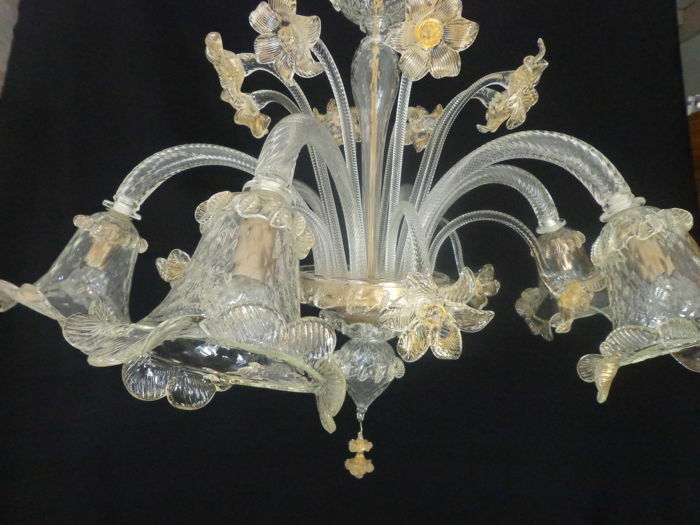 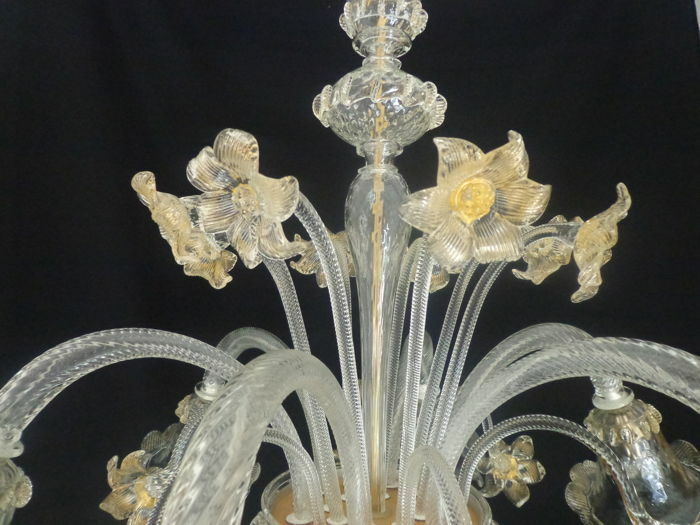 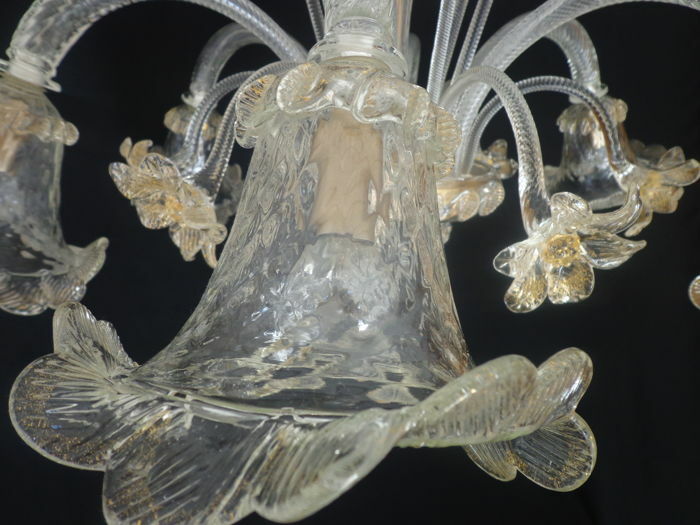 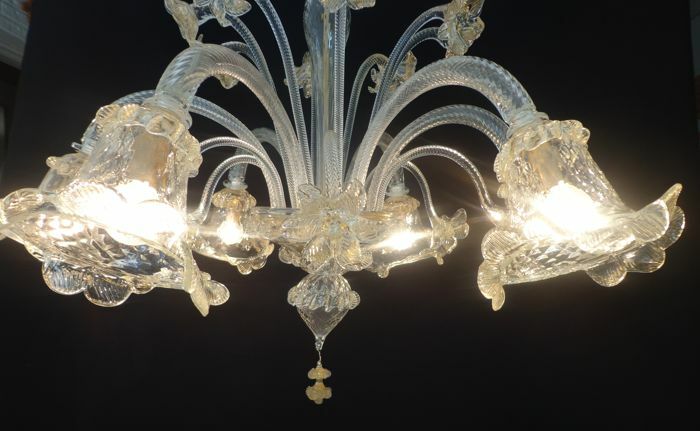 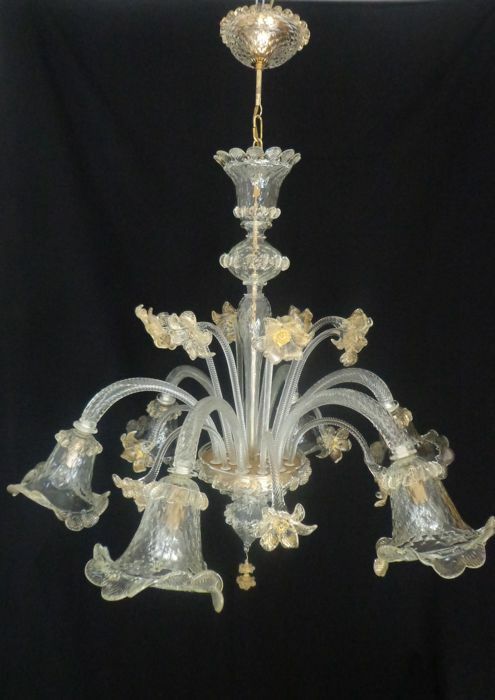 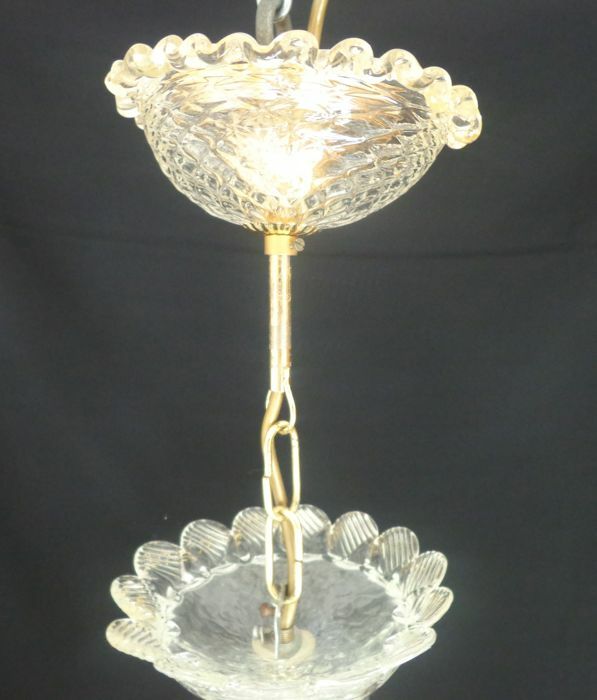 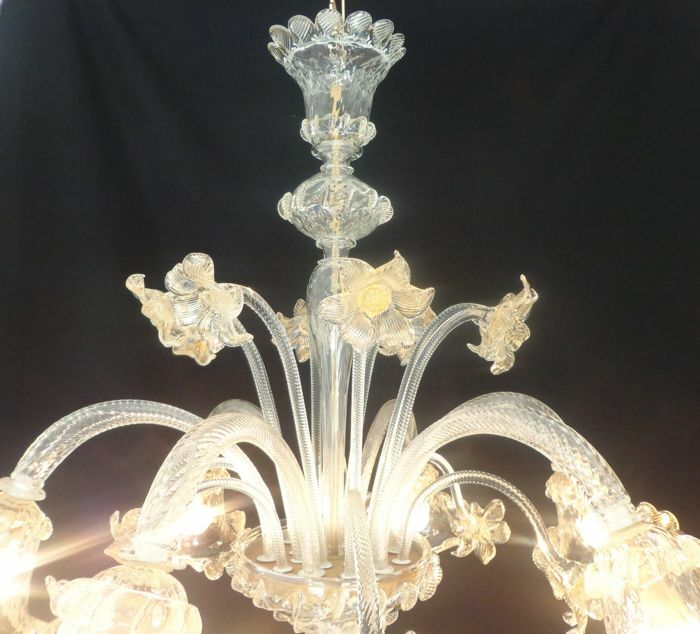 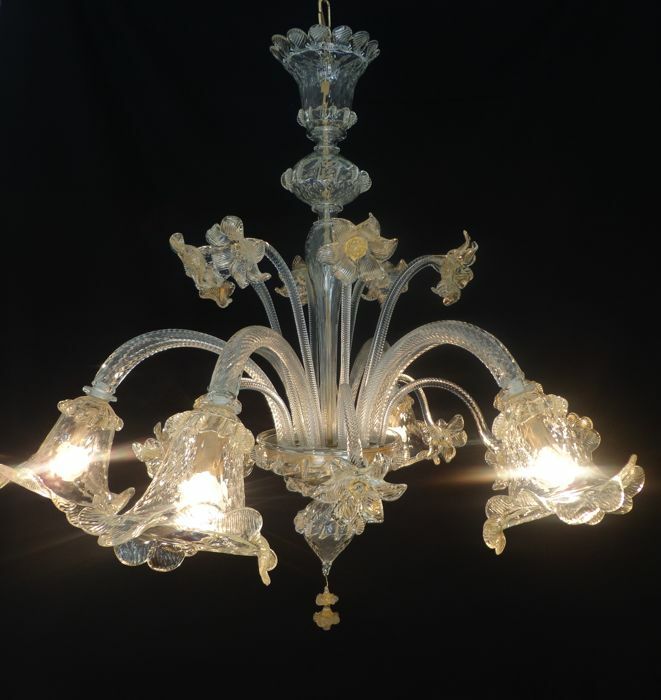 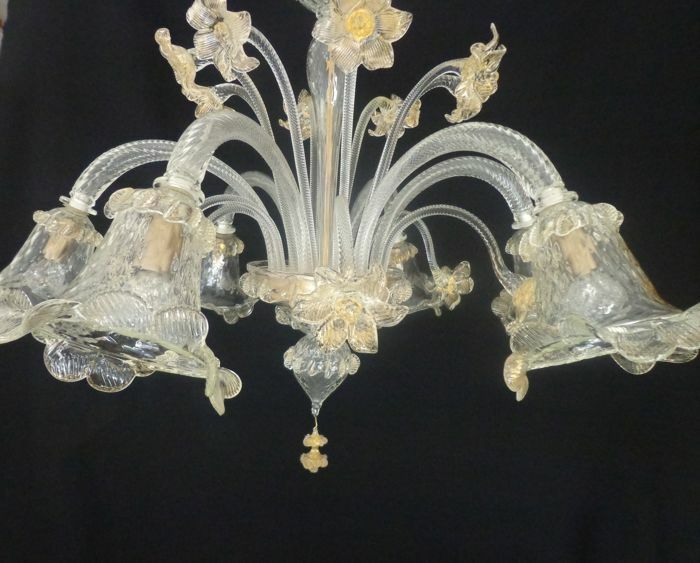 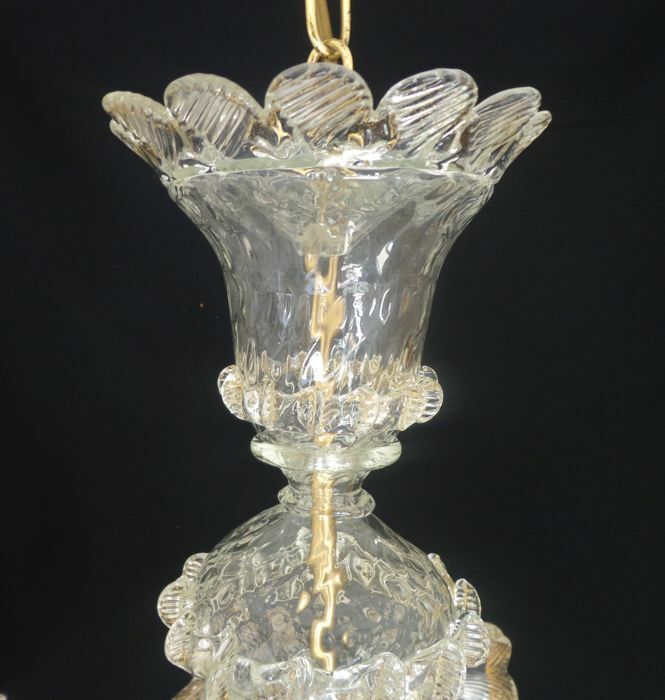 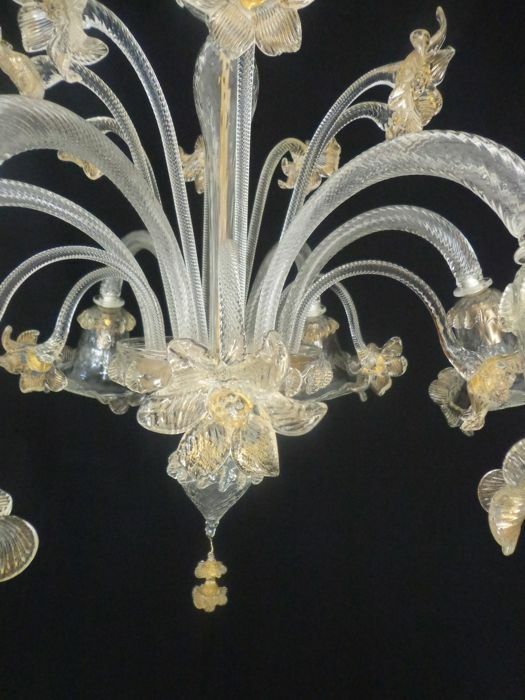 A very beautiful chandelier, made by the Murano master glassmakers. 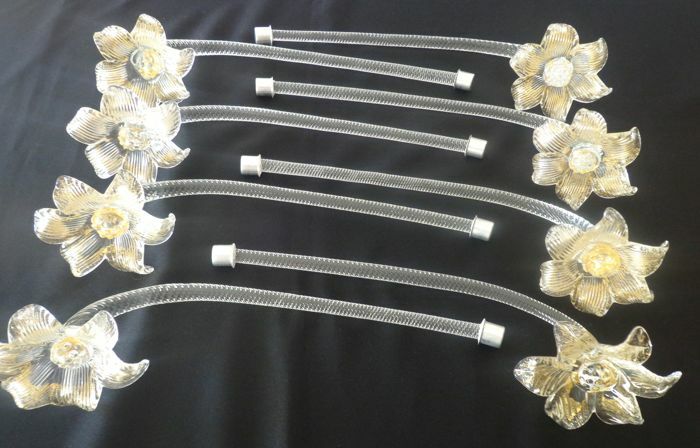 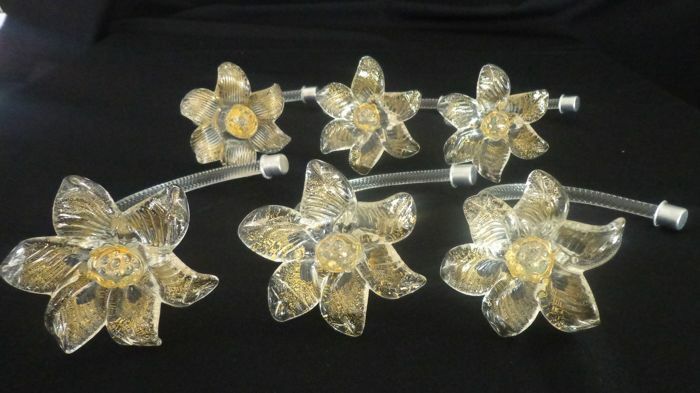 With a rich floral decoration. 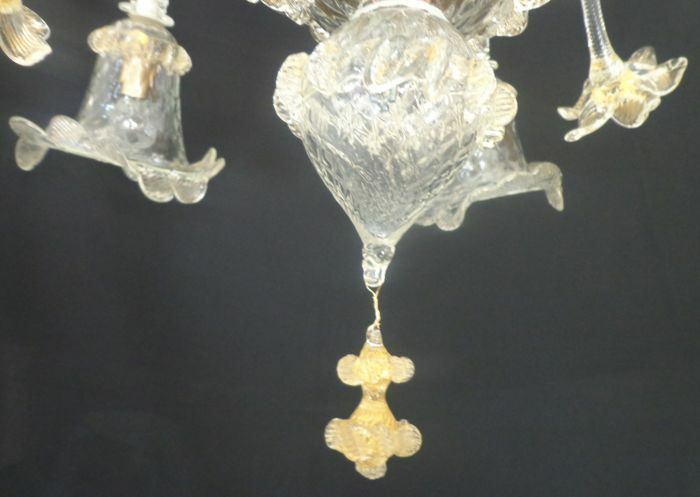 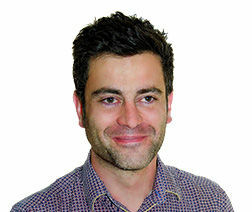 Colour: transparent with gold dust. 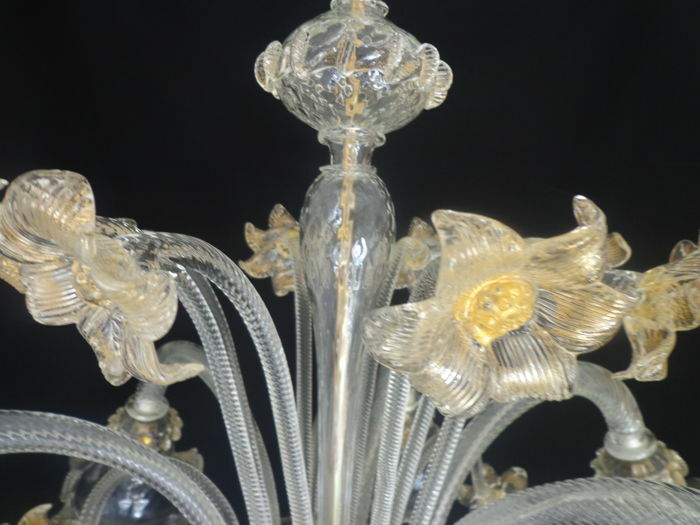 The light is in excellent condition. 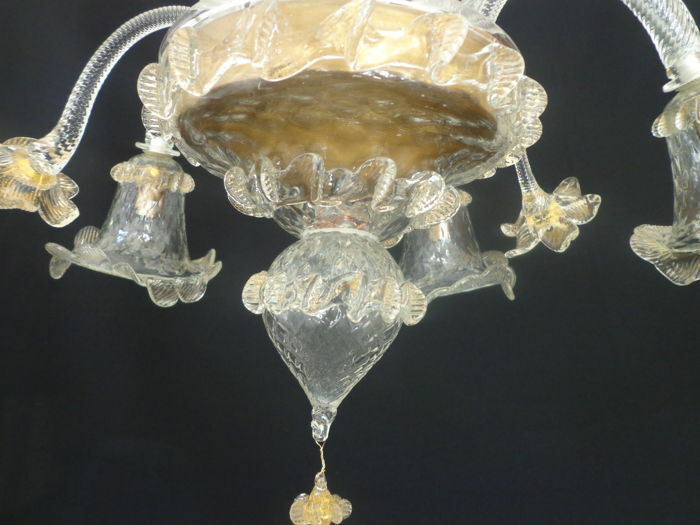 The pictures complement the description. 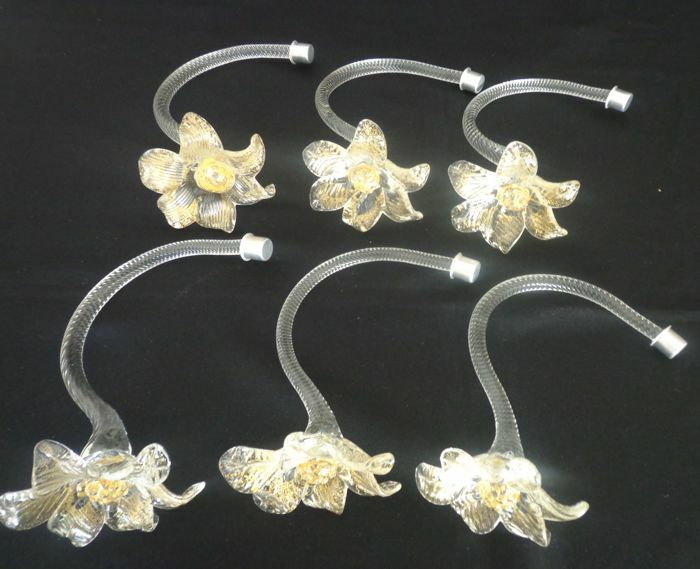 In case of shipping: it will be carefully packaged and sent by insured mail.